I have been knitting for almost 8 years now and crocheting for about 2. Every now and again, I’m surprised by how different the two crafts are. One of these moments happened to me earlier this week. I’m trying to make Little Miss a couple of cardies as she’s grown (10 month olds will do that) and I’m running out of cardigans for her. 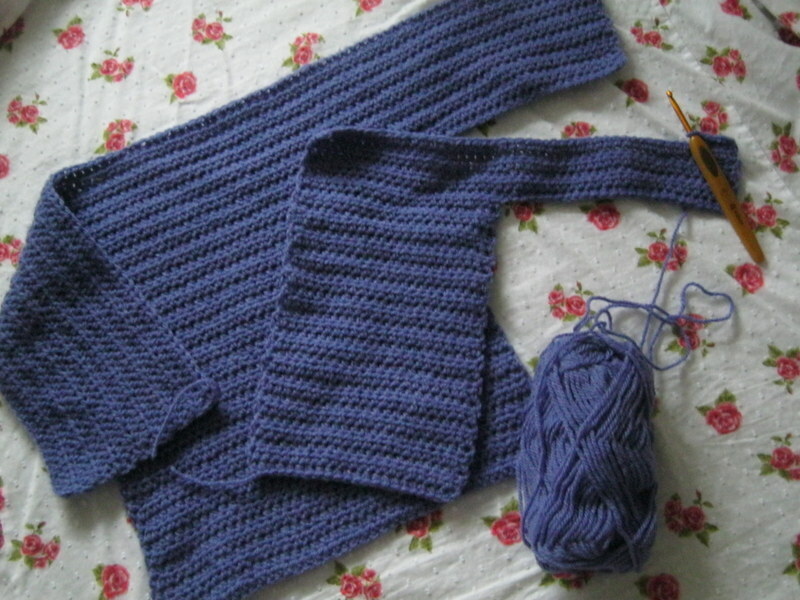 I decided that for a little variation, I would work two simultaneously; one knitted and one crocheted. They are so different! Here is my knitted one. What you can see is the back, sides and the first sleeve cast on. Knitting for me is a bit of a mystery. I can follow patterns but when it comes to writing patterns, I can’t get my head around it! 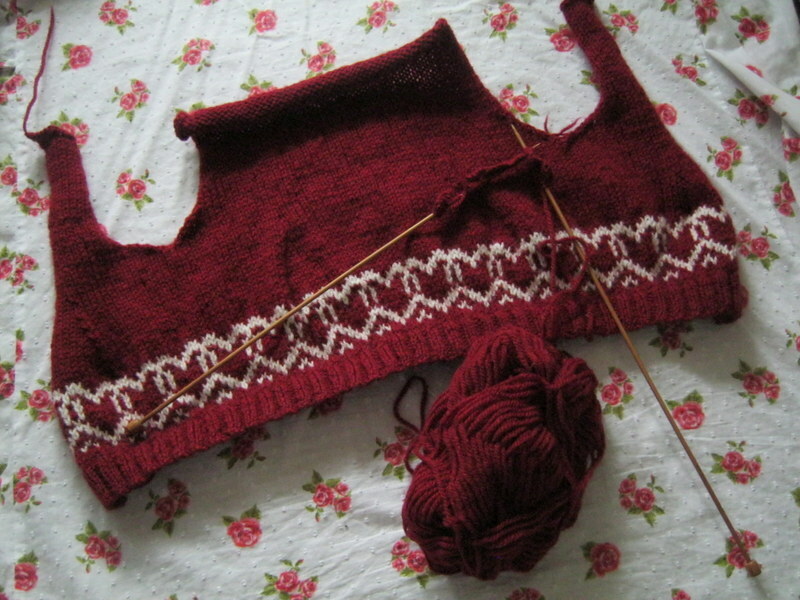 I’m making this pattern if you are interested but working it all red apart from the little hearts which are in cream. 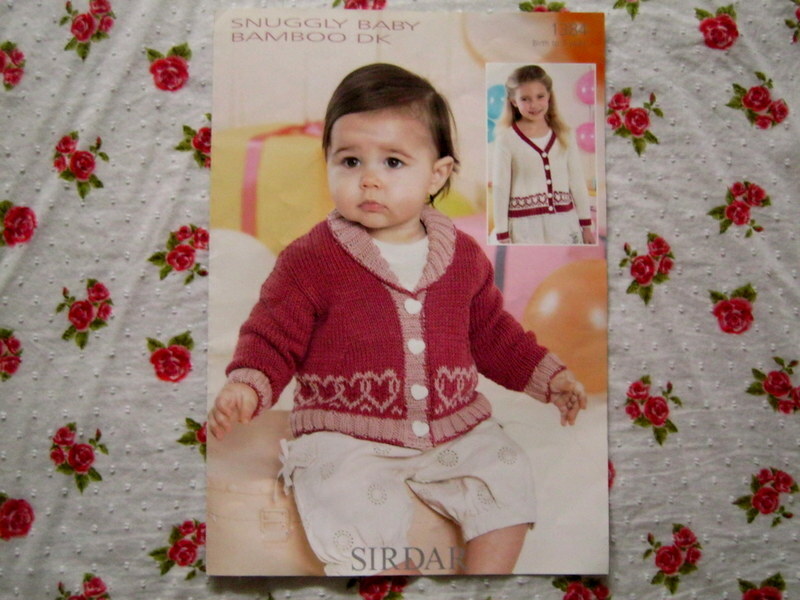 Here is the second cardigan. As you can see, is the crochet one. It looks completely different. What you can see is the back and one front with half a sleeve. It’s funny because normally hubby looks blankly at whatever I’m knitting but this one, he could tell what it was meant to be! This is the pattern I’m making in case you are interested. 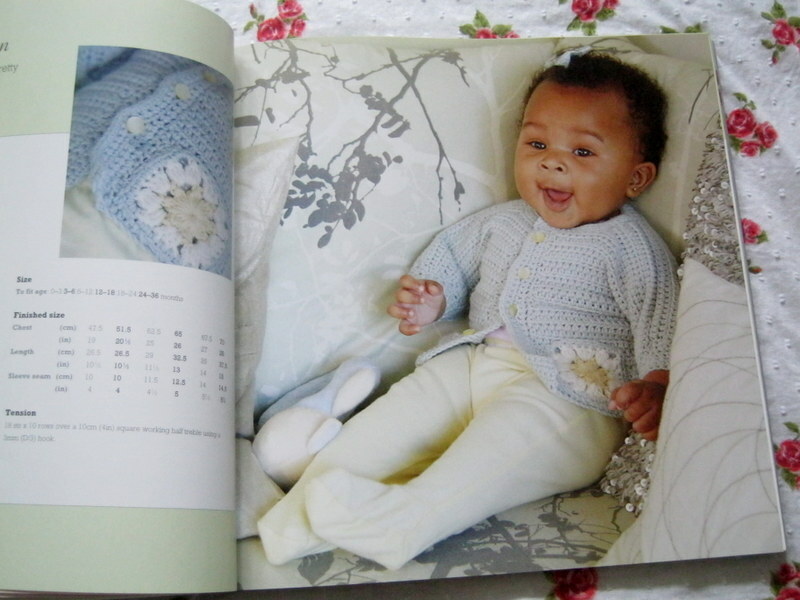 It’s from this Cute and Easy Crocheted baby clothes . I can’t believe that starting with essentially the same ball of wool and trying to make the same type of garment, the workings could be so different! Now I know the patterns are different but when they are finished they won’t look that different, yet the way they are put together is completely different (yes I know I used the word ‘different’ a lot!). I have to say, I like how changing needles for a hook completely changes the end result. The knitted cardigan already feels softer and more fitted whereas the crocheted one feels thicker, warmer and more structured.